The new dining precinct will open on 18 April. Images: Supplied by Scentre Group. Locals can now have a taste of what’s to come, as the six new restaurants that will open at Westfield Woden’s new Bradley Street Dining precinct have been named before its official opening in a few weeks’ time. The carefully curated dining offer promises something for everyone, bringing together a mix of first to market concepts from local favourites and new entrants to Canberra. The six restaurants range from Fenway Public House with their comfort of pub classics, Northeast’s Vietnamese cuisine, The Bavarian’s German specials, Sushi Musa’s sushi train, Espresso Warriors X Sugar Rush coffee classics for the sweet tooth and Golden Child’s Chinese restaurant. Indigenous artworks and edgy street art from local Canberran artists will be featured throughout, adding to the vibrant, urban ambience of the dining precinct. Scentre Group’s general manager of development Roy Gruenpeter said the six dining venues offer something for everyone. 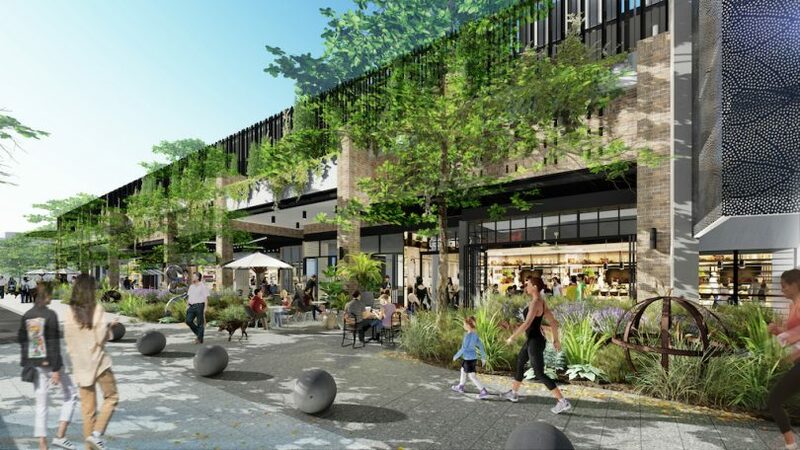 “We are bringing a unique mix of new dining concepts to Westfield Woden that we are confident will make the Bradley Street Dining precinct the new ‘local’ for our customers,” Mr Gruenpeter said. 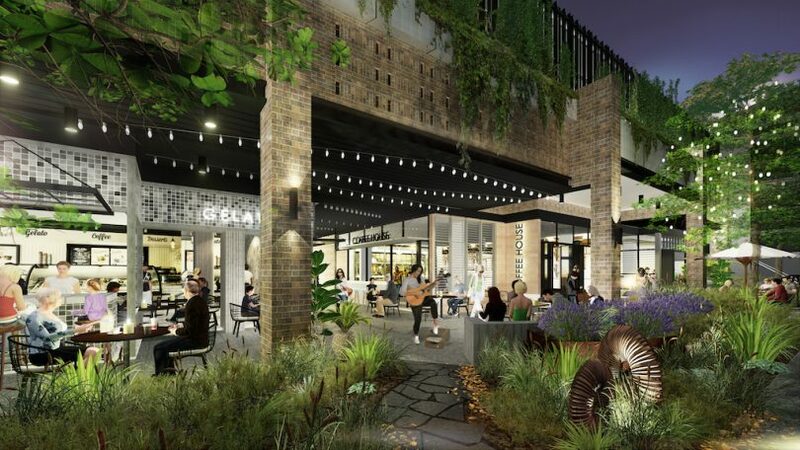 The new dining precinct at Westfield Wooden is the result of a $21 million investment by Scentre Group and joint venture partner Perron Group. Located on Bradley Street, adjoining Westfield Woden’s HOYTS Cinema complex, the selection of six new restaurants has been curated to complement the existing Bradley Street offering which includes Grill’d, Rashays and San Churro. Fenway Public House offers a new and inviting dining experience with pub classics and that little bit more – if food is your thing. The menu has a selection of fresh and vibrant dishes from breakfast to dinner and an exciting selection of local and international beers on tap. Northeast introduces a true Vietnamese bar experience with impressive cocktails and a selection of modern Vietnamese dishes. Next door, the casual, fun and family-friendly restaurant The Bavarian draws from its Bavarian heritage to offer a contemporary and affordable dining experience and one of the country’s best line-ups of German, international and local beers. Sushi Musa brings a Japanese culinary experience to the new precinct with a modern contemporary sushi train restaurant, offering mouth-watering sushi prepared using fresh ingredients throughout the day. Espresso Warriors will bring their famous combination of quality food, great coffee and a place for people to be social. Canberrans are in for a (sweet) treat, as alongside the fine produce, bread and bakery customers can enjoy a dessert bar experience, thanks to a new collaboration with Sugar Rush Dessert Bar. Last but not least there is Golden Child, a contemporary Chinese restaurant and cocktail bar serving authentic Chinese cuisine in a stylish setting. Work is currently underway at Westfield Woden, with the precinct due to open from 18 April 2019.